Today, we welcome Blythe Gifford, a long time contributor to the Unusual Historicals blog. 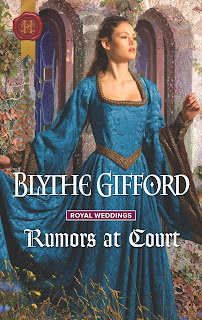 Her twelfth novel, RUMORS AT COURT from the Harlequin Historical line, has just been published and an excerpt was published here https://unusualhistoricals.blogspot.com/2017/05/excerpt-thursday-rumors-at-court-by.html on Thursday. She’s offering a free print copy to one randomly chosen commenter, so leave a comment at the end of the interview with your email address before next Sunday, May 21, for a chance to win. First, here’s a bit about the book. It is the third book in the Royal Wedding Series, and is set in England, late in the Fourteenth Century. 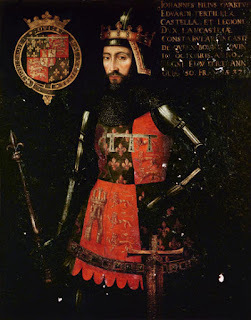 At this time, England’s earlier success against France in the Hundred Years War has slipped away and the once extensive English holdings on the continent are in danger. There is unease in the country and rumors abound about the royal family and the intentions of the enemy. The story includes a number of real historical figures, as has been the case with the other two Royal Wedding Stories and today’s interview revolves around the joys and challenges of putting real people into historical fiction. You have had real historical figures in nearly every book. Why? I’m drawn to stories about real historical events and often, a story is sparked from wondering how a specific event would affect someone caught up in it. To answer that question, my characters need to interact with the real people who were part of it. After all, this collection of events we call “history,” is not dates and facts and battles. It is what people caused to happen and/or how they reacted to what happened to them. What do you like about having real people in the book? they, or people like them, might have actually existed, if we could just peek behind the curtain that hides the past from us. So to make the situation real, it has to be as close to real people and events as I can imagine. And I have discovered that when I am forced to understand a character in order to make that person live on the page, it helps bring the period to life. This can be particularly true of recognized historical figures, who, too often, have been turned into stick figures by the history books. What are the drawbacks and challenges of including historical figures? When a character, a king, for example, is well known, there is a certain perspective of the kind of person he was and it is difficult to violate that. 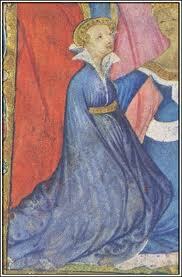 Since I write primarily in the medieval time period, details of temperament are scarce. Even contemporaneous portraits for this period are nearly impossible to find. This is particularly true of women, for whom, often, it is hard to pinpoint such basic information as dates of birth and death. 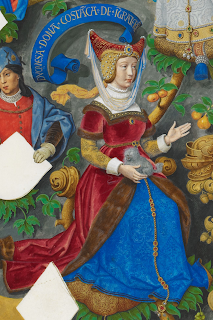 I’ve included many well-known (at least, to medievalists) women in my books: Alice Perrers and Joan of Kent, for example. For most of these women, not a single full-length, scholarly biography has ever been written. That is certainly true of Constanza of Castile, who appears in RUMORS AT COURT. Most of what we know of her must be inferred from meagre references in other sources, particularly biographies of her husband, John of Gaunt. Katherine Swynford, Gaunt’s mistress and also a character in the book, has been slightly better covered, primarily because of Anya Seton’s novel KATHERINE. For me, for this story, that was a particular challenge because I have known, and loved, Katherine’s story for most of my life. From that point of view, which was Katherine’s as a heroine, Constanza was little more than Gaunt’s means to the throne and a vessel for his child. Constanza was portrayed as an unpleasant, overly religious woman who kept to herself and hated England. Suddenly, in my book, I had to understand and portray both women, in a way that made sense for the story. It made me much more sympathetic. And do you ever fudge the facts? English poet and author of “The Canterbury Tales,” was part of Gaunt’s household and married to Katherine’s sister. It’s a wonderful historical tidbit, but I could not find a way to drop it into the story without making it feel gratuitous. I did include a reference to love such as “the poet” wrote of. And my editor, who knows the period well, recognized the poet as Chaucer and the allusion to his “Book of The Duchess.” But you do not have to know that background to understand the story. My books are historical romance, not non-fiction, but I try not to violate the reader’s trust. If a reader goes on to explore more books about the period, and I always hope she does, my goal is that she will never feel betrayed by my choices. All my books except for the first contain an author’s afterward, in which I can explain where I took liberties with the facts and a little of what came after the book ends. You always use real historical figures as secondary characters. Have you ever thought of writing a fictionalized biography? No! That would create too many constraints. I like having my own characters, and drawing on my own imagination to see their stories develop. I don’t think I could rationalize even the minor historical license I do take if I were telling the story of a real person. So now a question for commenters: How do you feel about real historical figures in fiction? Any examples of books in which it has worked particularly well? Or, have you ever learned something about history from a work of fiction? 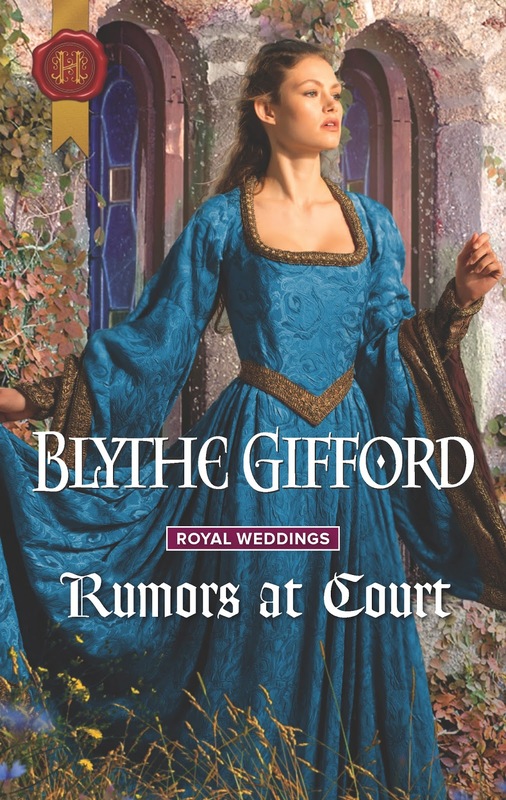 Leave a comment before May 21 for a chance to win a copy of RUMORS AT COURT.